Let’s talk about stocking stuffers. I have purchased all of the gifts for three out of my four kids and purchased all of the family gifts besides for a few gift cards. I haven’t purchased one thing for stocking stuffers yet. I’m a little behind but the good news is that I have ideas of what I’m going to buy this year. I don’t know about you but I hate the tchotchke things because I find them stuffed in corners, spread out over the floor or broken two seconds after my kids dig into the stockings. I made a decision to not let that happen this year since it feels like I am basically throwing away money. 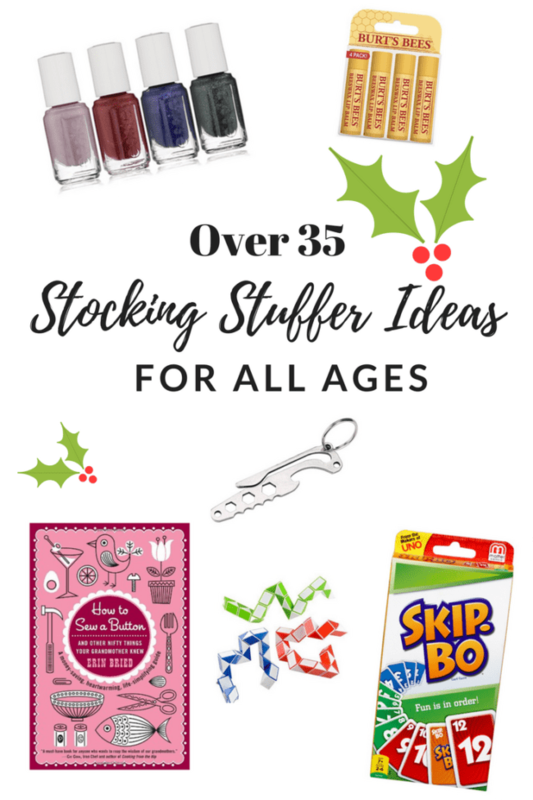 I have gathered some ideas by age group to help if you are still in need of stocking stuffers. As I look at the age breakdown our family of 6 has at least one person in each category. I am using affiliate links to some items and if you make a purchase we may receive a small commission. These are just some of my ideas. Of course depending on each person’s interests there are so many more things you could add! I can think of a million and one ideas for the crafter. 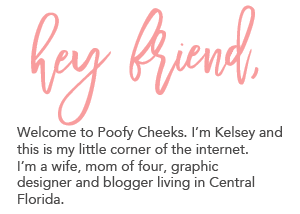 Get more ideas in Gift Guide for the Disney Lover, Stocking Gift Guide for Her and Gift Guide for the Crafter.